If you have been the victim of a personal injury, accident or medical malpractice case, you need to make sure you will not incur any fees or costs unless you receive compensation. Flaherty Fardo guarantees that if we accept your personal injury or medical malpractice lawsuit, we cannot be compensated unless we win and or settle your lawsuit and you receive compensation. The lawyer usually charges 40% of the total award or settlement. However, this fee can sometimes be negotiable. Please read: Top 10 Questions to Finding The Best Injury Lawyer. The contingency fee allows justice for injured victims who do not have the resources to hire a lawyer. Also, when lawyers are hired on a contingency fee basis, they have a stronger financial incentive in the final outcome. The lawyer's fee is directly tied to the outcome of the case. If there is a defense verdict, or no recovery for any reason, the lawyer cannot be paid a fee. Likewise, the client will have no financial obligation to the lawyer unless they receive money. 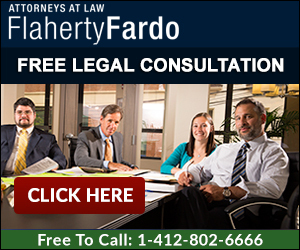 Flaherty Fardo provides contingency fee agreements for all of our personal injury, accident, and medical malpractice cases. Our contingency fee agreements allow our clients to focus on their lives and not worry about legal fees or expenses in their lawsuit.